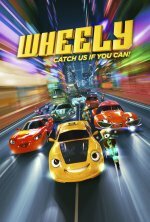 Wheely release date was Friday, March 22, 2019. This was a Limited in theaters release. In a world where vehicles are citizens, one underdog cabbie attempts to become king of the road in his hometown, Gasket City. But Wheely, as he is known, soon discovers that staying true to oneself is a greater pursuit than personal glory. When threatened by elitist attitudes and mobster trucks, can one unglamorous local cabbie rise to the challenge and become a global hero?